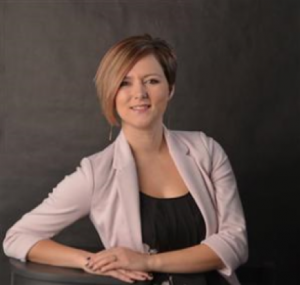 My name is Krystal Yorke, I am presently the General Manager of the CIBC in Tillsonburg. I have been working with CIBC in various communities from the East Coast to Southwestern Ontario for 9 and a half years. I have worked in a number of roles from front line employee, Advisor and Management. I am a passionate member of the Tillsonburg community and I want to use the resources I have access to through CIBC to make a positive impact to Tillsonburg and the local businesses. I have a husband who is also a local entrepreneur and sole proprietor of Killer Tables as well 2 young children, Everett (age 5) and Raven (age 21 months). Both of my children are involved in local children’s activities that are put on by our fabulous local volunteers. I have experience as a board member of CAS Oxford which I committed to a 3 year term last March 2018 and have learned a lot from their processes. I was lucky enough to be involved with the strategic planning for the next 3 years on that board and am excited to help bring the vision into action. I am hardworking, dependable and passionate. I love meeting new people and getting out into the community in any way I can. Tillsonburg has become our forever home so it is important to me to make a positive impact in any way that I can. Thank you for your consideration!